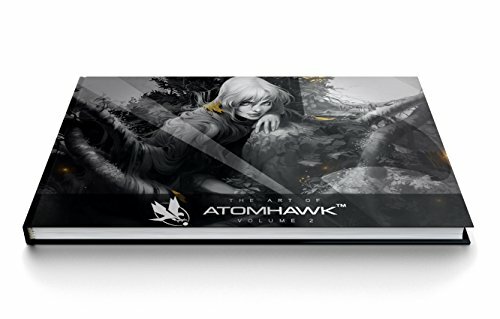 This is the second artbook from Atomhawk, a design studio that was set up in 2009. They have come a long way. The company has now grown to a team of 19, and the portfolio is now more wide ranging and impressive. By the way, this book was funded on Kickstarter. 393 backers pledged £17,675. And now it's also available for sale to the public as well. I've also featured the first volume before. The 180-page hardcover artbook features concept art created for the projects they have taken on over the last five years, from 2011 to 2015. Some are really big name titles, such as Killer Instinct, Pottermore, Wonderbook: Book of Spells and Potions, The Order: 1866, Killzone: Mercenary, Mortal Kombat, Injustice: Gods Among Us and more. There are also personal projects. The artworks are fantastic. Production standard work that can go onto product packaging anytime. They are very detailed, very polished. The studio also managed to redesign the looks of classic characters from Killer Instinct and Mortal Kombat. I love the background paintings for Mortal Kombat, and also all other environment paintings in general from other projects. The artworks are all very polished, very detailed. At the back of the book are several painting tutorials, gallery of personal artworks from the Atomhawk team and also artworks from some Kickstarters. The tutorials cover painting skin tones, character design, rendering, icon design and creating spaceships. This artbook is a wonderful showcase of work from a larger contributing team of artists. And it's also good to know how well the studio is doing. Highly recommended to those who like concept art.